Who doesn’t love a good girls’ night in? Some movies, great food, maybe some video games, and of course a mocktail or two! You see most of my girls’ nights in are spent with my girls so a mocktail recipe is the perfect addition to our fun. This recipe is something I whipped together using Lipton green tea and it is one of my favorite drinks. Get the recipe for my green tea spritzer mocktail and use it to entertain in your home. Mix all ingredients and serve. Makes one 12 oz drink or two 6 oz drinks. 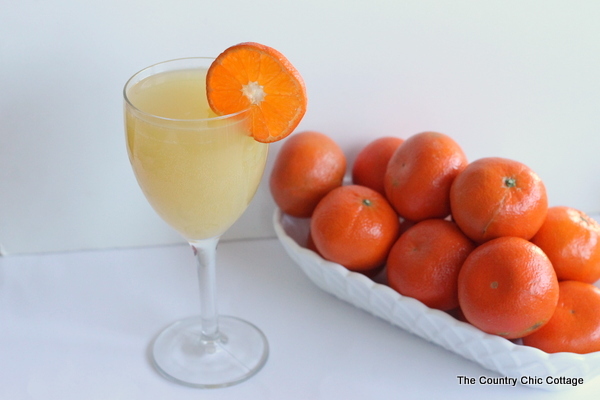 Serve with orange slices if desired. Add this one to fancy glasses to make your girls’ night feel even more special! Everyone loves a girl’s night in and this is my year to mix it up! Whether I am sharing unique, new recipes with friends, finding new ways to entertain or fun ways to stay active, I can’t wait to have more girl’s nights in this year. 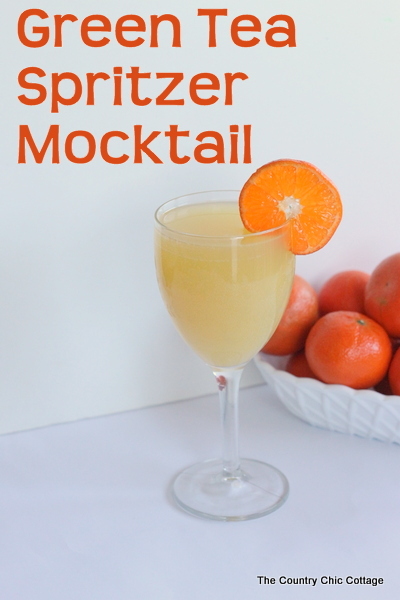 Do you have any mocktail recipes you use for girls’ night? Tell me about them or better yet leave me a recipe!